Resistance is futile, you will be assimilated. – As the Borg said in their quest for intergalactic supremacy and space terrorism in a fictional movie/TV series. Compassion is evil, worse compassion is so heinous that your innocent, voiceless children should be punished for crimes they did not commit. Much like a black slave in 1800, a woman without suffrage rights in 1900, a gay in 2000s, the plight of an IVF father who is an immigrant and an intersex family is much the same – NO rights. Worse, its the innocent, voiceless IVF children born out of compassion of several are being punished for crimes they did not commit. If making IVF babies is an international industry, where are the laws to regulate it? More importantly, do innocent IVF children and families deserve equal rights and protection? If there is COMPASSION for an intersex, immigrant, infertile person, why not COMPASSION for innocent IVF children and families? Slavery was legal in 1800 but wrong, Women could not exercise their rights in 1900 legally but wrong, Gays were forcefully closeted legally but wrong, how are international IVF/surrogacy parents and their IVF children treated in 2014? Are they human beings who deserve basic human decency and respect or are they to be used, abused and discarded? We can continue to pontificate that an immigrant, intersex, IVF family has NO rights to have children through IVF legally in 2000s but the FACT is two lovely IVF children have been born, now what? Do we give them equal rights as children or do we punish them because their parents committed the heinous crime of being compassionate? Nothing against natural born children, most IVF parents are natural born, but when a child is born through IVF/surrogacy, it includes compassion of not just the two parents but also the donor, surrogate, the IVF clinic, the doctor, the embryologist, and so on. Abandoning an IVF child is a slap on the face of all these people and everyone’s humanity. 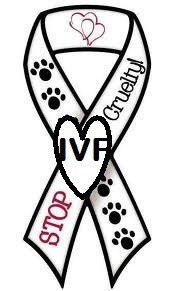 Compassion is at the central CORE of IVF and to help a fellow human being. Why is it evil? Why is it so heinous that two innocent IVF siblings should be separated for showing compassion? The IVF children are NOT wrong, the laws are WRONG just like the slavery laws of 1800, the anti-women laws of 1900, the anti-gay laws of 2000 and now we have the anti-IVF laws of 2000s and counting. Resistance is NOT futile. Borg are a fictional character. Here in the real world, we have to deal with real, live, breathing human beings, little IVF children who may be abandoned or forcefully left stateless and in legal limbo. We have to answer questions like why can’t I see my brother in America. Or why can’t I go to Canada to see snow? Or why can’t we go to Africa to see giraffes and zebras? Or why couldn’t I be together with my brother and father when you went to Alaska in the snow? And the one question that drives the nail in the head, through your heart and into the ground is why should we help others? Living in India is a daily learning lesson in people around you who are destitutely poor, children who may not be able to go to school, children who are hungry or may have less toys or no toys than your child. Do you teach your child compassion which is considered EVIL? You would have to meet the abandoned IVF child personally to figure out if she has been raised right and whether compassion is at the centre of her upbringing. In any war, there is an unwritten rule to spare the women and children. Nowadays, women are also in front line combat meaning in a war they are equal targets. Also, wars are getting to be more non-conventional where terrorists without a state are the main adversaries and we are moving towards a mantra of SPARING the innocent – children first, women and men. Raising an abandoned IVF child meaning she was born with compassion of others but placed willfully in legal limbo by IVF terrorists with NO compassion for her is the choice of a parent to SPARE the innocent children. Is the system able to do the same and spare the innocent IVF siblings and let them be united? An Indian citizen IVF child in the US is DENIED to come to India to see his IVF sister because Government of India has NOT signed a Hague treaty while the US has laws requiring a “genetic link” between a US parent and a child born outside the US meaning how can an infertile American bring an IVF child born outside the US legally? These are issues for the respective governments to decide. But spare the innocent IVF siblings. Let compassion be what it is, let it not be depicted as EVIL. What is needed is laws for international IVF/surrogacy in best interest of children and not shoving facts under the carpet and denying DUE PROCESS to innocent. Just like the black slave of 1800, the woman fighting for her suffrage rights in 1900, gays in 2000, IVF children and families in 2000s and counting deserve equal rights and basic human dignity and respect. Acknowledging the problem comes first and eventually a solution is arrived at – let it not be decades or centuries, let it be before the innocent childhoods of IVF siblings expires. Resistance is NOT futile. Compassion is NOT evil. IVF children born to a father are not “illegitimate” as the language in the laws claim. What is wrong is the archaic laws and people who want to exploit them for personal benefit. Because willfully abandoning an innocent child AND willfully splitting loving siblings can NEVER be right NOR justifiable. Laws will change with time and these acts will be criminal while the “illegitimate” IVF children of today will be “legal” because its the right answer. Compassion will not become evil or illegal, breaking laws will remain illegal.